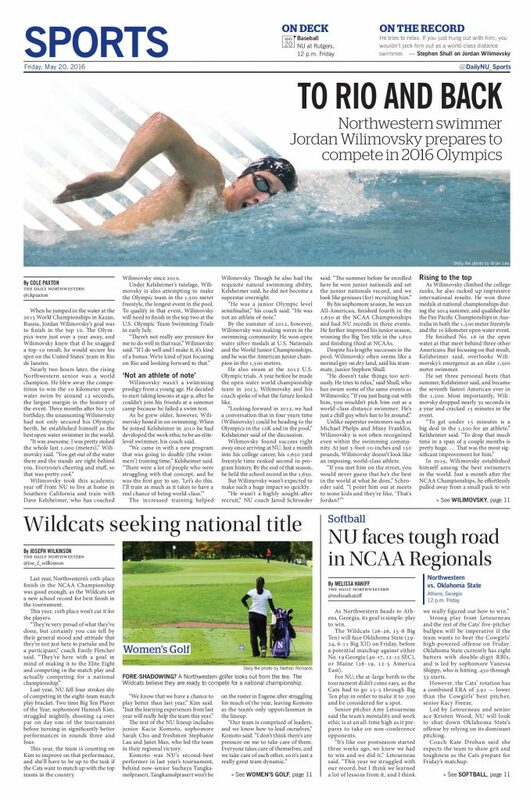 There will be 306 gold medals awarded at the 2016 Summer Olympics in Rio de Janeiro, and this time around, a Wildcat has a real shot to claim one. 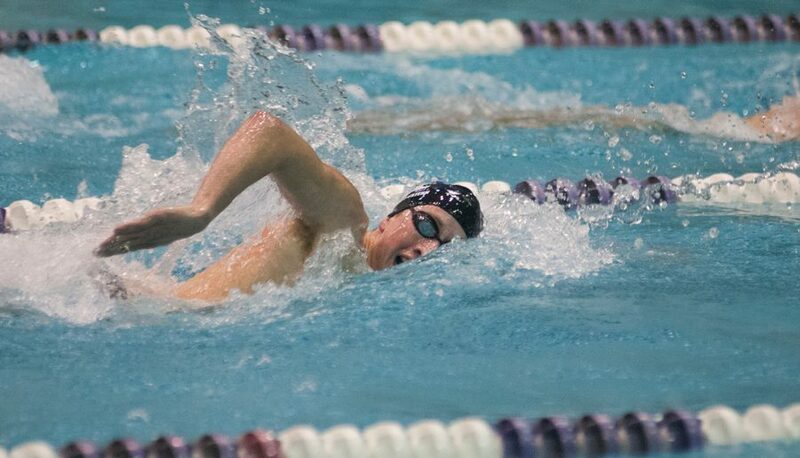 Cole Paxton takes an in-depth look at Jordan Wilmovsky, a world-champion distance swimmer out of Northwestern who will be going for gold this summer. Joe Wilkinson sets the stage for the NCAA Women’s Golf Championships, where the peaking Cats are a real contender for a national title. Melissa Haniff previews softball’s upcoming first round NCAA Tournament matchup with Oklahoma State, which NU secured after a strong stretch to close the season at .500. 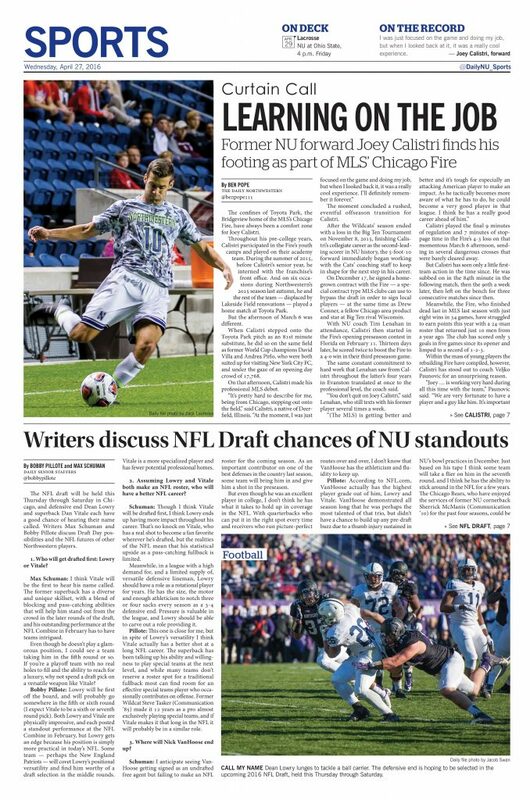 It’s been an quite the year for Joey Calistri. 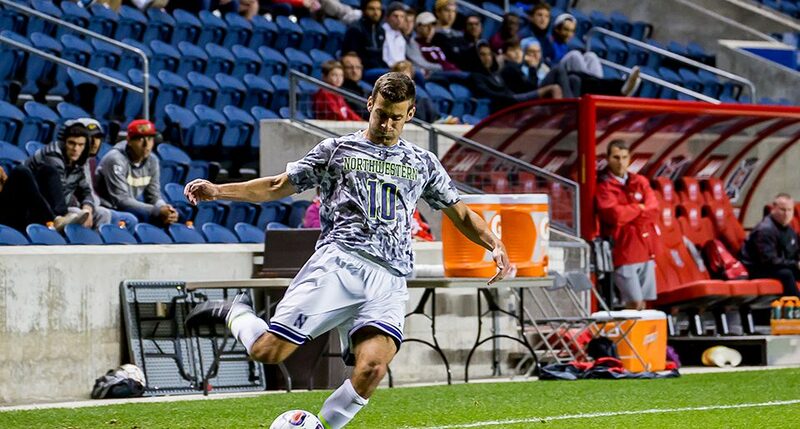 The men’s soccer star finished his career as a Wildcat in the fall as the second-leading scorer in school history, then signed a homegrown contract with the Chicago Fire of MLS, beginning his professional career. In the first installment of our Curtain Call series, taking one final look at Northwestern’s senior stars like Calistri, Ben Pope profiles a player making the leap and trying to find his way at the next level. The NFL Draft takes place in Chicago beginning this Thursday, and several Cats seem poised to hear their names called. Bobby Pillote and Max Schuman convened a roundtable to preview the weekend’s events. Marty Johnson checks in with the softball team as they prepare for the home stretch of the season, beginning with today’s game against Loyola University Chicago. The Big Ten announced its golf honors yesterday, with NU’s women’s golf sweeping individual awards and men’s golfer Dylan Wu being recognized as well. Max Schuman took a look at the Cats’ chances of sending a runner to the outdoor track NCAA Regionals this season, and didn’t like what he saw.